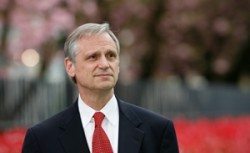 Congressman Earl Blumenauer has been a longtime champion of sensible marijuana law reform. As a state legislator in Oregon, he voted to decriminalize personal amounts of marijuana all the way back in 1973. He has been at the forefront of cannabis law reform ever since, even when it wasn’t near as politically popular as it is today. He was very instrumental in the fight to legalize marijuana, even debating the merits of Measure 91 at the Salem City Club against Oregon’s most prominent prohibitionist. Not only has he supported reforms, but he has worked to reach across the aisle and work with Republicans and conservatives, those he has very little else in common with politically. Not many liberal Democrats hold a joint press conference with conservative anti-tax icon Grover Norquist, but when Representative Blumenauer needed political allies to help pass sensible tax reform for state-regulated marijuana businesses, he put other politics aside and brought in conservatives who would join his efforts. Washington, DC – “Senators Paul, Booker, and Gillibrand took an historic step today by introducing a medical marijuana bill in the United States Senate – the Compassionate Access, Research Expansion and Respect States Act. This bill would bring much needed relief to the patients, businesses, and physicians who participate in legal state medical marijuana systems that exist in a confusing patchwork of state and federal laws. Last Congress, the House voted six times in favor of reforming our outdated marijuana and hemp laws. Over a dozen bills have been introduced, many with bipartisan support. The Senate bill builds on this momentum and incorporates many of the provisions that gained significant traction in the House. I am happy to see the inclusion of language similar to our bill, HR 667: The Veterans Equal Access Act, which will ensure that our veterans can access medical marijuana in states where it is legal. I am also excited to see language to reduce barriers to medical marijuana research, which is an issue I will continue to champion. The bill will also offer much needed certainty for banks that provide financial services to marijuana businesses, which often must operate as unsafe cash only enterprises. With support for medical cannabis reaching as high as 85% across the nation in a Fox News poll and 72% in a conservative state like Utah, we will continue to see progress in Congress and across the country for marijuana law reform. Even if the CARERS Act doesn’t pass this year, we can expect that the bill or bills similar will only garner more support each and every year. And with representatives like Earl Blumenauer fighting for sensible reforms, it is only a matter of time before we see cannabis prohibition repealed at the federal level; first for medical patients, then for all adults.